Camping is one of the most enjoyable and adventurous outdoor activity. It involves a lot of gathering firewood, cooking, hiking among other activities. Definitely, it is expected for one to feel exhausted at the end of the day. Sleeping is the next alternative but you won’t find the comfortable bed you are used to at home. On the other hand, you can’t afford to sleep on the ground. 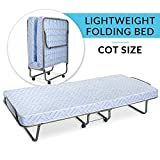 Well, the folding cots are a solution. 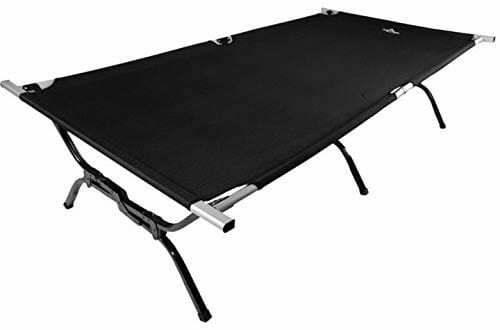 Camping cots are incredible carries that allow us to rest comfortably when away from home. They are brilliantly designed to fold compactly and be set up so easily. 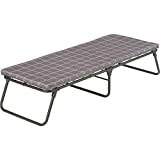 Here are some of the top rate camping cots for outdoor activities you can try out. 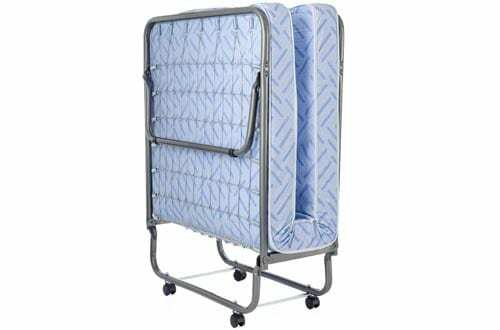 Coleman ComfortSmart cot is all about superior comfort. There is nothing else to expect from this cot given that it features a thick foam mattress and a spring coil suspension. It is durable and reliable because of the heavy-duty steel construction. Maximum capacity is 275lbs. Provided your height lies between 5 ft. to 7, you can comfortably take a nap on this cot. 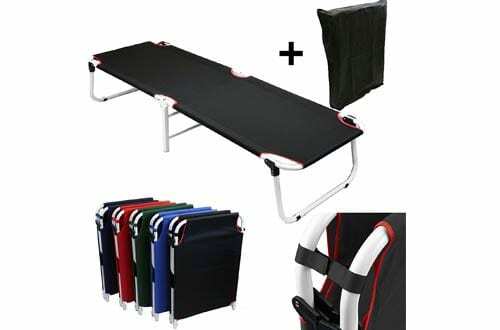 You will be amazed after taking a glance at this camping cot when it is folded. It is extremely compact. 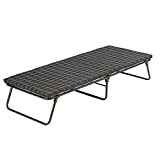 This camp cot is a great choice when you are exploring the outdoors. You will definitely wake up feeling relaxed and free from any aches due to the superior comfort. While it is very compact and folds to fit in any car trunk, this cot boasts of durable heavy-duty steel construction. It has a weight capacity of 300lbs and fits up to 6ft. With the spring coil suspension system and the thick foam mattress, you will experience a near-bed comfort. 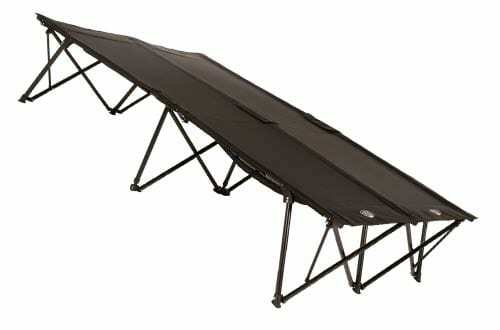 No more sleeping on the ground when camping. Worry not, get the Comfortsmart Deluxe and take your outdoor camping experience a notch higher. 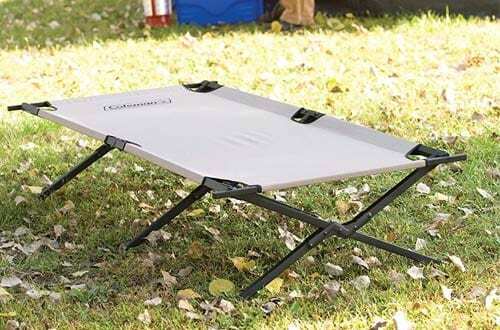 The Trailhead cot is another great unit from Coleman. Those who love camping knows very well that Coleman is the way to go. Camping with anything from Coleman never disappoints. This unit will get you off the ground and offer you superior comfort. Extra-wide design allows you to take a nap on this unit and give room for someone special. Heavy-duty steel X-frames gives this model a sturdy feel. Plus, it is foldable for storage convenience. The heavy-duty polyester fabric is used in the unit. If you are looking for some cheap plastic cots, you better look somewhere else. Anyone would also appreciate the supportive design that allows you to assemble and disassemble the unit with much ease. It can fit any person up to 6 ft. 2 in. Maximum carry weight is 18.3lbs. If you love experiencing a 5-star hotel comfort, the Kamp-Rite Oversize cot is an ideal choice. This unit incredible opens up a sleeping surface of 84” x 33. This is more than you need to enjoy a cold falling night when away from home. Use the 2 drop-down pouches to store all your accessories such as phone, tab, iPad, key etc. When it is time to get back home, simply fold the two pouches and use the formed carry handle to get your Kamp-Rite cot back home. The 400lbs weight capacity is way much higher than most models. 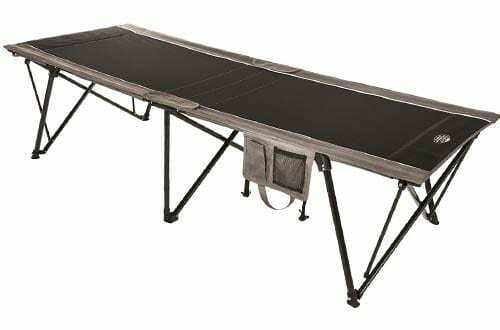 If camping and hunting are your things, then the TETON Sports cot is the best choice. With an extra-large sleeping area the size of a twin size foam mattress, this unit offers the ultimate comfort that you desire down at the base camp. It has a weight capacity 600 pounds. Additionally, this unit has a patented Steel S-leg design that embraces the outdoor experience. This unit is loaded with a full spectrum of features that will turn your camping base into a luxurious outdoor experience. 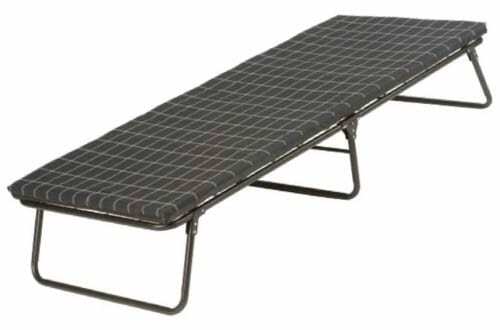 For superior comfort, you can pair this cot with a camp pad. Regalo Deluxe Cot is for all divas out there that love camping. It is constructed from steel and reinforced with canvas bed liner. Despite being sturdy, the Regalo is foldable and compact. Setting it up and folding it down is a breeze. Being generous, this cot comes with a sleeping bag, travel case, and a removable pillow. 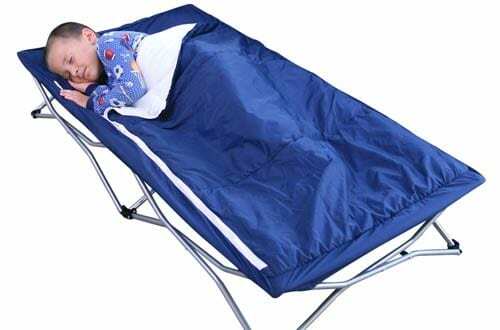 I highly recommend this cot for those that love sleepover, camping, or daycare. It can support up to 75 pounds. The Milliard lightweight cot/bed is another great choice that offers top-notch versatility in the camping field. Whether a beginner or a pro, anyone would appreciate the sturdy frames that can accommodate any large individual. For super comfy, this unit’s foam mattress is 4 inches thick. 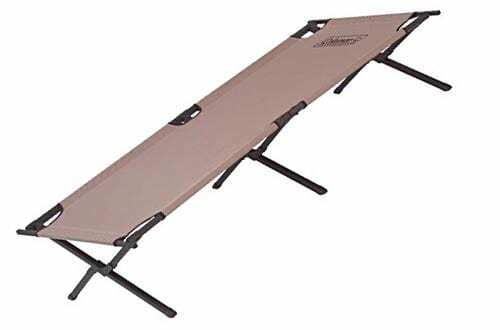 The 74” x 31” bed offers exclusive comfort to an extent you won’t believe you are on a camping site. The bed is strong and able to support 264 pounds. No specialist required when setting up this unit. Instead, readable and easy to follow instructions are included to enhance quick assembly. Milliard design is one of the best, it folds compactly. Magshion portable is an excellent camping cot that will fit any outdoor use. 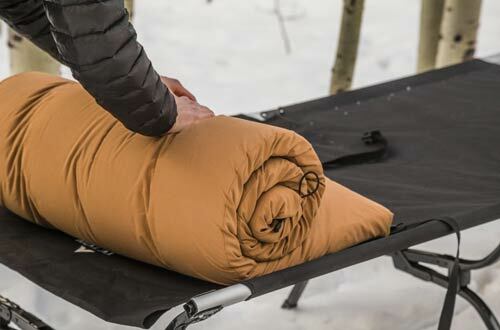 You can use it as an emergency cot, cabin coat or a military coat. Apart from being portable, this unit has a unique design that easily folds up for storage. Quality steel and Oxford cloth materials are used. Maximum weight capacity is 300lbs while the maximum height is 6”. Grab the Magshion Cot and enjoy the free storage bag provided. This is the best spot to relax and bask when out there exploring mysterious lands. It is excellent for everyone, kids and adults included. Keep your sleeping easy with the Double Kwik cot that creates a super comfy 85” x 55” sleeping surface. This is big enough for you to enjoy a nap with your loved one. One prominent feature of the Kamp cot is the compact design that unbelievably folds to 42″x9″x11″ space. Weighing only 32lbs means storage and transportation are a breeze. Maximum weight capacity stands at 500 pounds which are incredible given that this cot is lightweight. This is made possible by the heavy-duty steel frames used in the construction. Additionally, a durable carry bag is part of the purchase.